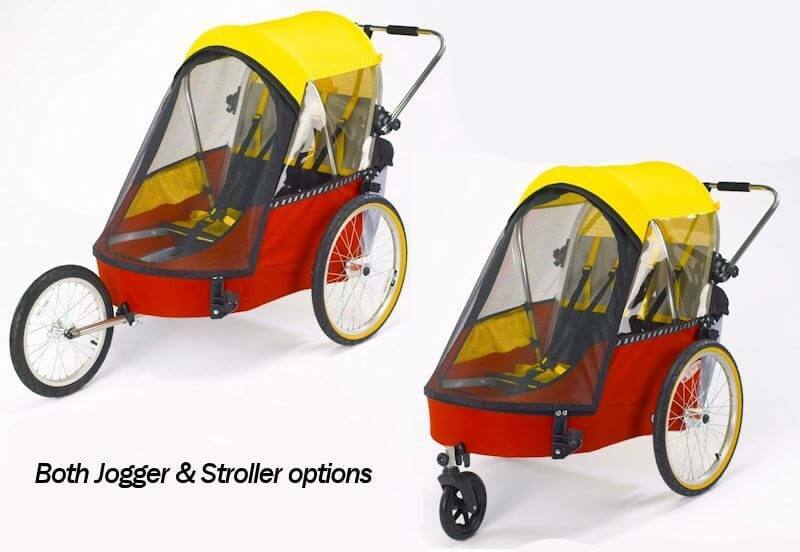 The Wike Premium Single Child Bicycle Trailer is the perfect solution for the small family on the go. Just as smooth and stable as it larger Premium Double, the Premium Single let’s your child ride in style. 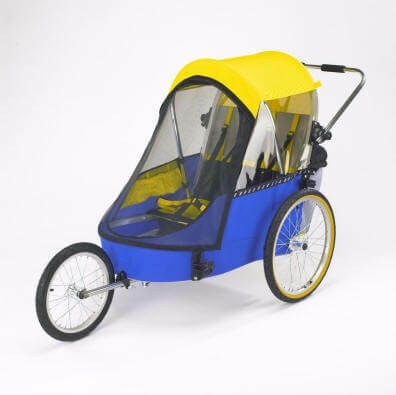 With lots of head and legroom the Premium Single will accommodate children to 4’ 4” in height and is up-gradable to Jogger/Stroller with the purchase of the options. You do not need to worry about whether your 6 year old can ride safely on the streets on their own, they will still fit in our trailer. Not only will your child have plenty of elbow room but you’ll have plenty of places to stash their toys and treats. 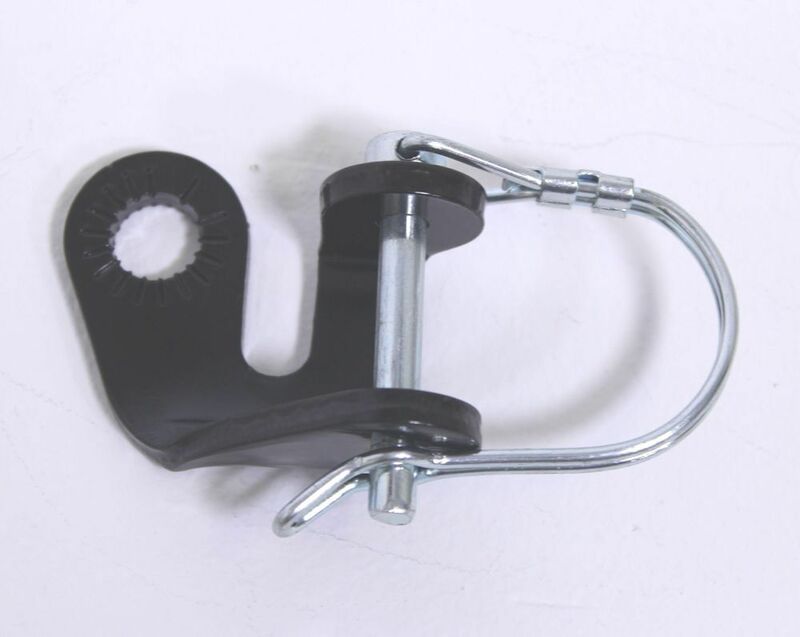 Also included with the trailer are: two bike hitches, rain screen, bug screen, safety flag. Our trailers are built with care at our factory in Guelph, Canada and shipped directly to you, you can only purchase it in our secure online store. It is available in Red/Yellow only. This upgrade consists of a 6" front swivel wheel, an adjustable pushbar, and two foot operated parking brakes. I received by Wike Premium Single trailer on Wednesday and I couldn't be happier. This trailer is a masterpiece of design and functionality. One can assemble or disassemble the trailer in seconds. And it stores neatly out of the way once folded. We haven't taken it for a spin yet but we will later today. My 4 year old is more excited about riding along with me than he is about Christmas. I plan to use the trailer to get him to pre-school everyday since I already ride the bike to the office most days. We have pretty good bike lanes here in Santa Monica and it should be fun. Thanks again for a wonderfully designed, high-quality trailer. It's the best value of any trailer out there. I could have easily gone to REI (just 8 blocks away) and made $100 or $200 more for a Burley and not been nearly as pleased and happy as I am with your Premium Single. Mostly, I would have just spent more money and got nothing in return. Thanks again and safe biking.